Saturated Fatty acids, that are all animal fats. 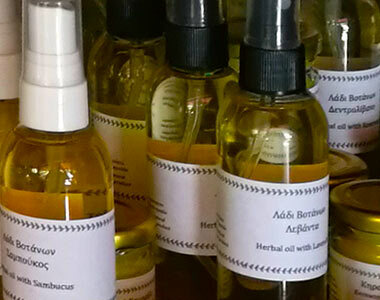 Poly-unsaturated Fatty acids: these are essential to our body, which does not produce them, but takes them in from various oils contained in food. Mono-unsaturated Fatty acids: principally oil acid, which is the key constituent of the olive- oil. The olive-oil consists of fatty acids of all 3 categories, but characteristically it contains a high percentage of mono-unsaturated oil acid. 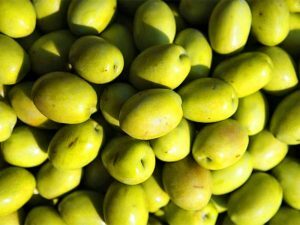 Moreover, the olive-oil contains a considerable amount of vitamin E (a-tocopherol), and provitamin A (carotene). A. Frying: Thanks to its composition, the olive-oil is very resistant to heat. So, it can reach 210oC without being decomposed, unlike other vegetable oils or butters that cannot stand high temperatures. Knowing the frying temperature to be 180oC, we gather from the table below showing decomposition temperatures for different fatty stuffs, that olive-oil is preferable in frying. B. Sustenance: The olive-oil gives us just as many calories as all vegetable oils give, but not more than that, as is perhaps an wrong view. Thus, 1 gram of olive-oil gives 9 calories, even wholesome ones. C. Vitamin E: The olive-oil contains substantial amounts of vitamin E which protects fatty acids from oxidation. It is essential to all ages, especially to pregnant women and those in the nursing period. D. Not Rancid: Provided the olive-oil is stored cool, in opaque containers that do not let light in, does not get rancid, contrary to other vegetable oils, but only after a very, very long time. There are ten points that all of us must have in mind and use them on the everyday basis. They help us not only to get more familiar with it, but also to make good of its astonishing qualities for a hygienic diet, that is essential to the modern man. It can take the place of butter in cookery. By its nature, it’s the best oil in frying. For an even hygienic diet, it can be added at the end of cooking. Mixed with various aromatics (garlic, pepper-plant, estrangon, clove, origanum, basil, mint, etc) it can substitute ready-made sauces in salads, fish, or meat. Not only is it not heavy, but is also easy to digest. Does not put on fats more than other oils, as it gives exactly the same calories. Helps in a proper development of the nervous system. Olive-oil means bodily as well as mental health. 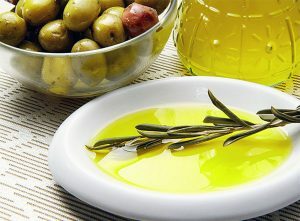 Olive-oil plays a significant part in developping a balanced diet for man. Poor nutrition, rich in saturated fatty acids (animal fats) results in risen cholesterin and triglycerides. This in turn leads to arteriosclerosis and cardiovascular diseases. On the contrary, consumption of mono-unsaturates (olive-oil) reduces cholesterin. Medical studies have shown that in Mediterranean countries, where olive-oil consumption is high, the incidence of cardiovascular problems is lower than in the countries of the North, where consumption of animal fat is increased. Accordingly, one of EU’s aims is to direct the North Europeans rather to olive-oil. To make them familiar with it, to persuade them to use it, to love it and to recognize it as being a unique nutritious element in modern healthy diet. Olive-oil has been proven to be instrumental in metabolism balance and the body’s growth, being that its composition “matches” most the fatty elements contained in the body, which makes it being absorbed easier than other oils. For, unlike poly=unsaturated fats, it facilitates fat-soluble vitamins’ transfer within the body, and helps significantly in bone growth. All these things are quite essential for child’s development, which must be accustomed to the rich flavour of the olive-oil from an early age. Contrary to an wrong theory which may have caused controversy, the olive-oil does good to the old-aged as well. Thanks to its vitamin E, a natural anti-oxidant factor, the olive-oil delays changes in cell membrances that lead to natural aging. This is why the old ones should care to take in more olive-oil. The olive-oil protects the mucosa of the digestive canal, interferes with the overproduction of hydrochloric acid (and pepsin), thereby reducing the chances of ulcer creation. Moreover, it is the best natural means to fight constipation. Being perfectly tolerable to the body, unlike certain drugs, the olive-oil plays a significant role in the treatment of bile diseases. 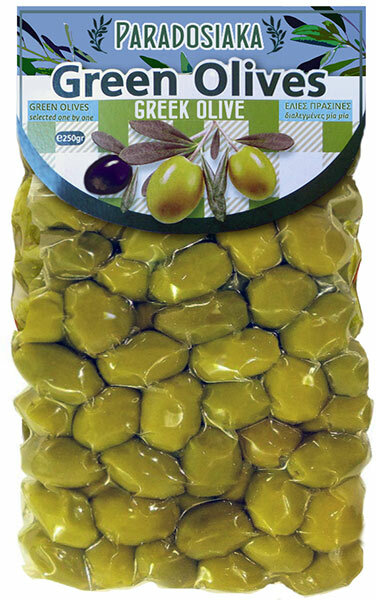 According to recent medical studies, the olive-oil appears to act inhibitively in the formation of gallstone. ii. by the proper contents in carbohydrates, proteins, and lipids. According to studies performed by the World Health Organization, the nurishing requirements for an adult, are as follows: 59% (carbohydrates), 11% (pro- teins), 30% (lipids). Lipids must make 30% of the total, and of these each category of fatty acids to be 1/3. How can we keep the appropriate analogy? Simply, by reducing animal fats, and increasing olive-oil intake. In many a food we can substitute olive-oil for butter, to reduce meat intake and to increase “oily” food. To avoid fatty meat and prefer instead fish or chicken. We must learn to give food taste by adding oil plus various spices, instead of using fresh butter, milk-cream or bacon.